Most of us would think that both are the same. 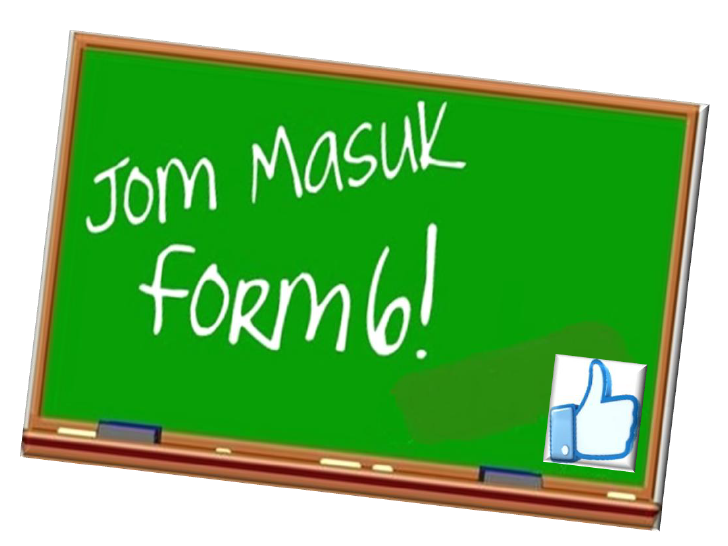 Well, Form 6 is a program and STPM is an examination after you complete Form 6. To those who already have your fancy plans to study in some expensive colleges and set your mind to study abroad, you might want to think twice. As the following will tell you the difference between Form 6 and STPM. Like most of us, I used to think Form 6 is a tougher passport to degree. Well, could you tell me which pre-university isn’t? Let’s lay downs the stereotypes of Form 6: difficult, wasting time and pressure. Am I right? In fact, what I have mentioned is STPM and not Form 6. Form 6 the exact opposite of what I mentioned. What is Form 6 actually then? Form 6 is fun, is about time management skills and easy. Yes, EASY. Unlike most people, I took Form 6 out of convenience not because my parents ask me to or I really want to enter local public university but because I could not decide. Being the second youngest among my cousins, I have seen the way my cousin studied for STPM, sleeping at 2.00a.m to understand Krebs cycle or to master probability. I told myself, I AM NEVER GOING DOWN THAT PATH. Here I am done with it, and actually did not regret a moment of it. See the thing with STPM is that all the studying and no fun and that is just a part of it. But in Form 6, everything is much easier for you, trust me! In Form 6, priorities are given to Form 6 students. Most likely, teachers offer you club president, at least board of directors of the club to help us. We needed more than they do anyway, for university applications, scholarships and whatnot. Teachers help you as in they are willing to spend couple of hours after school to tutor you. Who would do that, say, in A-Level? In A-level, every minute lecturer spend is money unlike teachers in school who understands what you are facing. In Form 6, classes are small; I had 14 classmates in my class, the smaller the class, the closer we are. You will meet people of different backgrounds and speaking different languages. Yes, different languages! Having a group of friends who speaks English only, I had to adapt to mandarin speaking classmates in Form 6. Though I am Chinese but I am not well-verse in mandarin. That was difficult. As time passed, you learned to adapt and learn something new from others. Form 6 is about adapting and accepting changes. Form 6 establishes a strong foundation for you to find out who you really are! You must be wondering in 18 months, did I become a different person? As exaggerating as it sounds, Yes, I did. The magical thing in Form 6, it brings students together, you make instant friends and friends you never thought you would be friends with. Neither is 18 months short nor is it long, but it definitely gives ample time to grow and be mature. You value time more than you are in form 5. When I was in form 5 than I took 10 subjects while Form 6 I took 4 subjects and I made the most out of every day. You are motivated to study because STPM is tough. And where do you get less than RM3.50 lunch every day, if not school? You tend to save so much more while in school than in colleges because once in college, people treat you like adult, no more subsidies. I asked most of my friends, what changes most in them after taking Form 6? Majority said they become more mature than most of their friends who are in college. Those 18 months changes the way you see things, instead of reacting to words, you try to understand the situation. In the 18 months, you would know what you want. Believe me or not? Yes, it does. In Form 6, school doesn’t separate you between the smart kids and average kids; you choose what major you want to be in. Say, all this while you have been in the first few classes, in Form 6 you will be mixed with everyone whether you are a smart kid from the first class or the average kid from the fourth class. The thing is, people tend to have stereotypes towards who and who from so and so class but in Form 6, stereotypes do not exist you mix with everyone. Seeing people out of your comfort zone makes you a better person and changes your perspective. So what about STPM? STPM is part of Form 6 but not the entire thing. STPM for me was tough, really tough but Form 6 was easy. Get that right. Taking STPM does not mean you will end up in local public university for those who see it that way, STPM broaden your options from local public university to private university or abroad. Why not spend 18 months in school and experience all these? Because once you are in university, you will be glad you did it whether you choose to go local public or private. Is not wasting time, what’s the rush? You have the whole lifetime ahead and did you know most of us spend more than 50 years working? What is another 18 months in school? One more thing, why spend a hefty on private pre-university when you can spend less than RM 100 for pre-university? Go figure, guys! Thank you so much for this ! It might be merely an e-mail but it really did inspired me , I mean a lot. I am a form 6 student, just joined recently and was wondering was it a right choice for me as I am traumatize by teachers as well as counsellors emphasizing that form 6 is DEFINITELY not a "honeymoon" for us during the orientation week.I , a rather dim-witted and indolent kind of guy was of course, extremely resist at first , worried that i couldn't cope well with the bustling lifestyle and failed catch up the tempo but eventually I accepted the challenge valiantly.Thank you again for this meaningful piece of letter conveying your wisdom and aspiring viewpoint which , eradicated my doubt and give me courage! I will pursue for high accomplishment like you! I'am totally agree with the the author that Form 6 is fun and STPM is tough. Just like other pursue name it matrix, pre-U or diploma, nothing come easy. If you want easy just stay at home wondering and do nothing. STPM cost you much less and give you more option. When the teacher say not a honeymoon means that they want you to take it seriously from day one of your form six. For those who taking up STPM, all the best and for those who have not, think about about the cost effective and option that STPM can give to you. I have a question. My STPM pointer is 2.75. Can I still apply for scholarship? I really salute this wonderful message to all the students out there . congrats and you have chosen the right path. Wis you good luck.